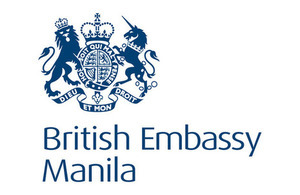 The Philippines and United Kingdom convened the 1st Philippines – United Kingdom Economic Dialogue on 21 March 2019 in Makati City. The Philippines and United Kingdom convened the 1st Philippines – United Kingdom Economic Dialogue on 21 March 2019 in Makati City. The inaugural dialogue was led by Department of Trade and Industry (DTI) Undersecretary Ceferino Rodolfo and British Ambassador Daniel Pruce. The dialogue marks a milestone in bilateral economic relations as both sides committed to work towards wider and deeper engagement. Topics important to the economic agenda of the Philippines and the United Kingdom (UK) were discussed: increased trade and investment promotion, economic reforms, MSME development, sustainable and inclusive infrastructure, digital economy, banking and financial services, and social development in education and health. Current and future economic cooperation initiatives across a broad range of sectors under the United Kingdom’s development programmes such as the Prosperity Fund were likewise highlighted. The dialogue was capped off by the signing of a Partnership Statement and Joint Action Plan on Economic Cooperation, Trade and Investment that includes priority sectors for deeper economic cooperation between the two sides such as on trade and investment promotion, industry collaboration, MSME development, innovation, ease of doing business reforms, transparency and anti-corruption initiatives, competition policy, ICT, transport, sustainable infrastructure, banking, fintech, green finance, capital market development, health, education and skills development. The UK remains committed to support sustainable and inclusive development in the Philippines and to enable programmes that encourage growing bilateral trade and investment. With the successful convening of the inaugural dialogue, the Philippines and the UK look forward to increased two-way trade and investments as well as sustained collaboration in concrete and mutually beneficial economic cooperation initiatives.